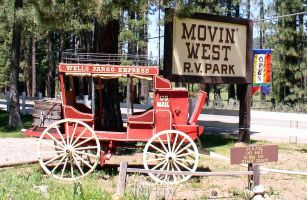 I have stayed in parks all over California from San Diego to Redding, Tahoe and up and down the coast in our 32 ft fifth wheel. Movin' West is one of my favorites. It is in a wonderful part of the State with great golf courses, fishing and beautiful country. Every thing about the park is first class. They have the best and cleanest bathrooms I have ever seen. Large spaces with as good a choice of clear cable TV as I have had at any park. The setting is clean and beautiful under the pine trees. It is close to Sacramento (140 miles)our home and is perfect for a long weekend get away or a week long golf or fishing trip. Perfect camp hosts...no I am not related. Join in and write your own page! It's easy to do. How? 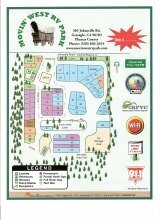 Simply click here to return to RV Park Reviews.